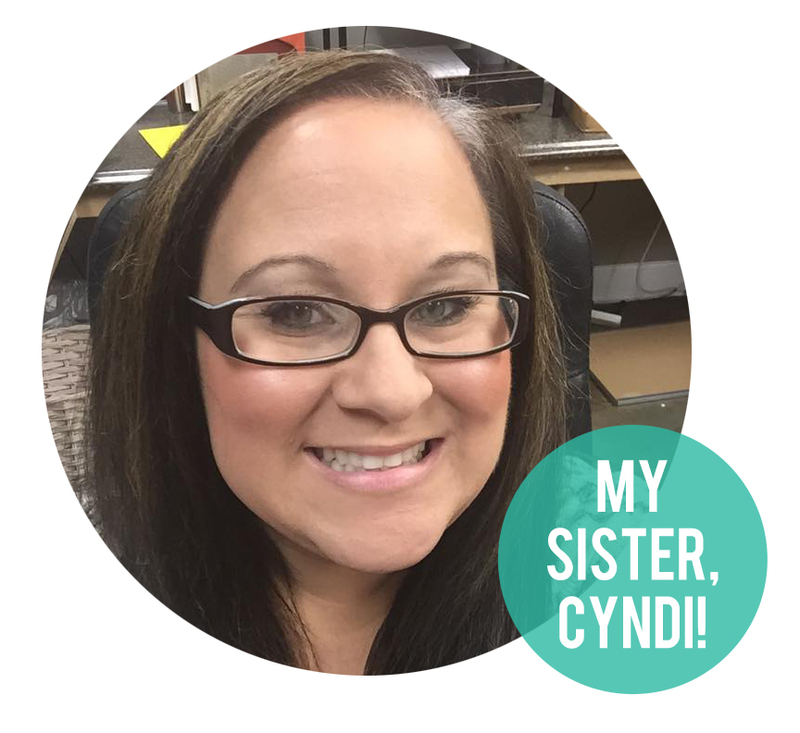 Today I am thrilled to introduce you to my twin sister, Cyndi Browning. In addition to being a great sister, she has recently managed to keep her cool (most days) in the midst of a lot of big life changes–all while being a great mama to my nephew Grayson. She posted the following on Facebook this morning and I asked her if I could share it with you all. I hope you’ll be touched and encouraged by her words as much as I am. Isaiah 41:10 is a simple verse, “Fear Not, for I am with you.” But isn’t it hard to really do sometimes? I thought about this verse yesterday morning when I was preparing to drop off my son Grayson for his first day of 1st grade, at a new school. I was nervous because just days earlier, he surprisingly expressed fear and anxiety going to meet his teacher. Last year, on his first day of Kindergarten, he walked in like he owned the place–full of confidence and sass. With our recent move and all the other changes that have gone on in his life recently, he’s been adjusting great! But, I knew that at some moment, he would choose to express some fear or anxiety about these changes in some form or another. Apparently, the idea of going to a new school, knowing no one, was how he decided to express his fear. As a parent, it’s very disheartening to know that some tough changes that are going on in YOUR life will inevitably effect your children…when they never asked for it….they never deserved it. Children should not have to experience their parents separating and moving away. It’s just not natural. So the guilt creeps in. The fear starts to bubble. After a not-so-smooth meet the teacher day, I was nervous about how yesterday morning would go. I sat in the car with Grayson before we went inside and, as I held his hand, I looked him in the eye and told him how proud I was of him for being brave to start at a new school. I reminded him how great of a kid he was and that no matter what, God would be with him all day. We got out of the car and walked into the school together. With his way-too-big-for-him backpack on his back, he held his head high and scurried up the ramps of the school to his classroom. He was that confident boy I had seen a year ago on the first day of Kindergarten. As I kissed him and left, I walked through the halls back to my car a little choked up and incredibly proud of my son. He showed fear the other day….fear of the unknown, fear from all the changes that have been happening. We expected this at some point, and it happened. But, like the simple scripture I listed above from Isaiah, he chose to “fear not”. My friend, Liz, from church says there is great power in the two words “me too.” Those two words, when spoken to a friend or even a stranger, can have a profound way of connecting you to someone. It immediately tells the other person, “Hey, you are not alone. I’ve been there and I understand.” God speaks that same truth to us in these other two simple words “fear not.” They are just two easy words from a vocabulary of millions. But together, they can speak volumes. They can also be some of the most difficult words to follow. Take it from a worry-wart. Letting go of something I am afraid of is not an easy task. I over-analyze and play the “what if” game over and over. Just when I was walking back to my car yesterday from dropping Grayson off, something dawned on me. God is that parent looking at His child on the first scary day of school when we are full of doubt, worry and fear–telling us “It’s OK. You are brave. I am with you and it will be ok.” WOW! God chose me to be Grayson’s mom. God trusted me with the task of being there for my son to remind him that he’s a great kid and will do great things because I believe in him and most importantly, God is with him. But we have to sometimes listen to the words we instill in our children and choose to apply that back into our own lives when we are the ones full of fear.